Banff was first settled in the 1880s, after the transcontinental railway was built through the Bow Valley. In 1883, three Canadian Pacific Railwayworkers stumbled upon a series of natural hot springs on the side of Sulphur Mountain. In 1885, Canada established a federal reserve of 26 km2 around the Cave and Basin hot springs, and began promoting the area as an international resort and spa as a way to support the new railway. In 1887, the reserve area was increased to 673 km2 and named “Rocky Mountain Park”. This was the beginning of Canada’s National Park system. According to records from the Whyte Museum here in downtown Banff, Blue Mountain Lodge first appeared on the federal parks tax rolls in 1908. The Lodge itself was built by Mrs. Sarah E. Taylor as a rooming house in 1908 and was home to her husband and three daughters while Mr. Taylor worked at the Bankhead mine. The next family to own the Lodge was the Blacks; who continued to operate it as a rooming house. As both the bus depot and the Chuckwagon Café were then located at the corner of Beaver St. and Caribou St., the Lodge was frequently used by drivers as a stopover. Unfortunately, both the bus depot and the café were later destroyed by fire. Mrs. Inez Miller later took over ownership of the Lodge. 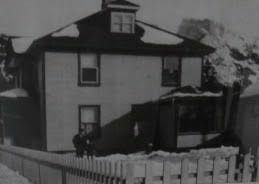 With the help of her two children she ran it as both a rooming house and accommodation for tourists for over twenty years. Local legend paints her as quite the character! In 1987, Hugh and Irene Simpson took over the Blue Mountain Lodge and began extensive renovation work. Along with their son, Ryan, they worked hard at maintaining the property until they later moved on to beautiful British Columbia where they now operate a B&B on the shores of Okanagan Lake. 2007 saw the Lodge pass into the ownership of Pascal and Louise Dell-Courtemanche. 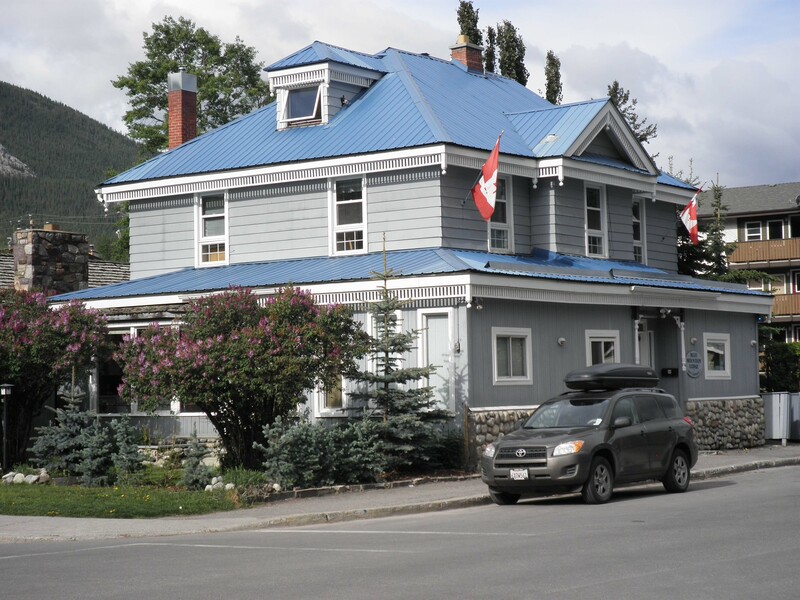 For ten years they dedicated themselves to maintaining the Lodge, and visitors to Banff from all over the world. Long-time friends Justin Kangarloo and Terrell Stephen became co-owners of the Blue Mountain Lodge in 2017. Justin and Terrell were both born and raised in nearby Calgary, Alberta. They grew up cross-country skiing together in the Bow Valley area surrounding Banff and ultimately went on to represent Canada in international competition. While neither of them are skiing competitively any longer, they have retained their passion for being active outdoors. Justin and Terrell are excited to be able to share the beauty of Banff with visitors to the Lodge. Blue Mountain Lodge offers the perfect home base for exploring everything that Banff has to offer. 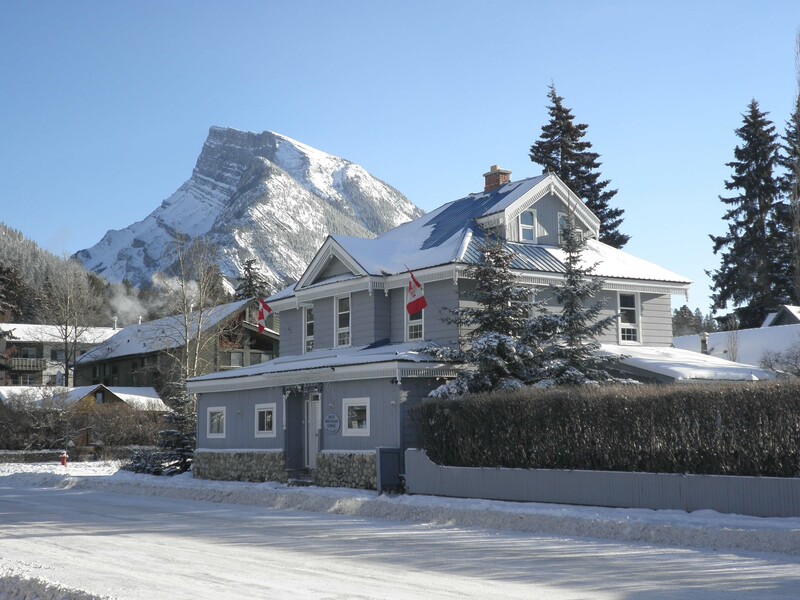 Justin and Terrell are looking forward to maintaining the pioneering spirit of this fabulous heritage home located in the heart of downtown Banff.